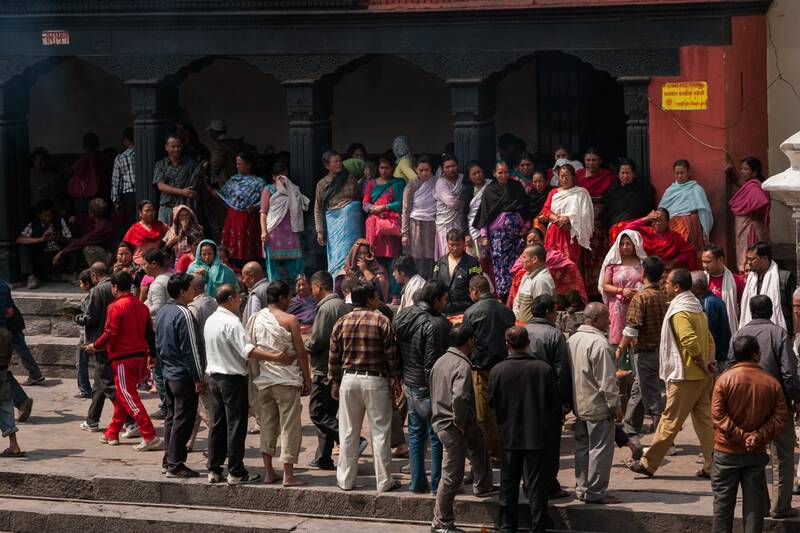 Home / Travel / Hindu funeral at Pashupatinath Temple on the banks of the Bagmati River. Kathmandu, Nepal. Hindu funeral at Pashupatinath Temple by the Bagmati River. Kathmandu, Nepal. 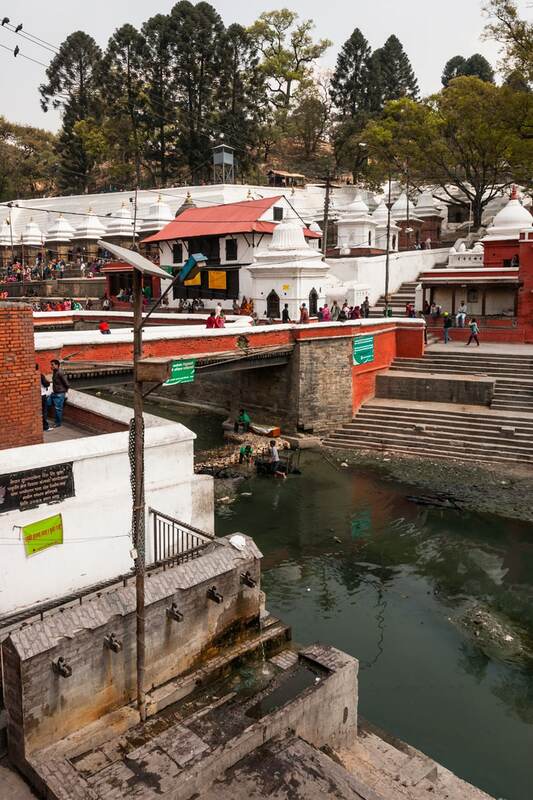 Dozens of Hindu funerals take place every day at Pashupatinath Temple by the Bagmati River in Kathmandu, Nepal. It’s a sad experience, yet it’s included in any one-day trip’s itinerary of Kathmandu. In my opinion, the saddest moment of the whole Hindu funeral ceremony is seeing the female family members cry and salute the dead for the last time. Then, he or she would be moved to the Smashan, the Hindu cremation ground. As my guide explains to me, women symbolise birth and, for that reason, they are not allowed to enter the Smashan, which instead it symbolises death. Following there is a collection of photos that I hope you may like. Hindu funeral on the Bagmati River at Pashupatinath Temple. Kathmandu, Nepal. 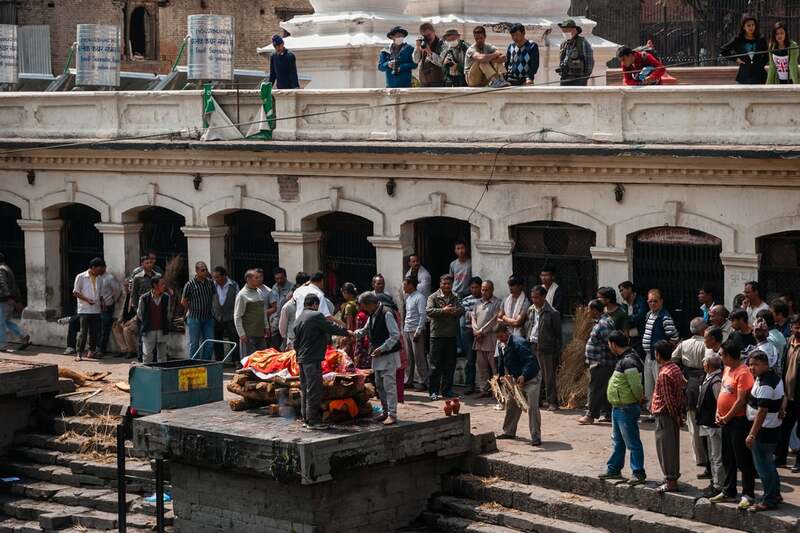 Nepalese men take the dead to Smashan Hindu cremation ground on the Bagmati River at Pashupatinath Temple. Kathmandu, Nepal. Hindu funeral on the Bagmati River at Pashupatinath Temple in Kathmandu, Nepal. Cremations on the Bagmati River at Pashupatinath Temple in Kathmandu, Nepal. Hindu funerals at Pashupatinath Temple on the banks of the Bagmati River. Kathmandu, Nepal. 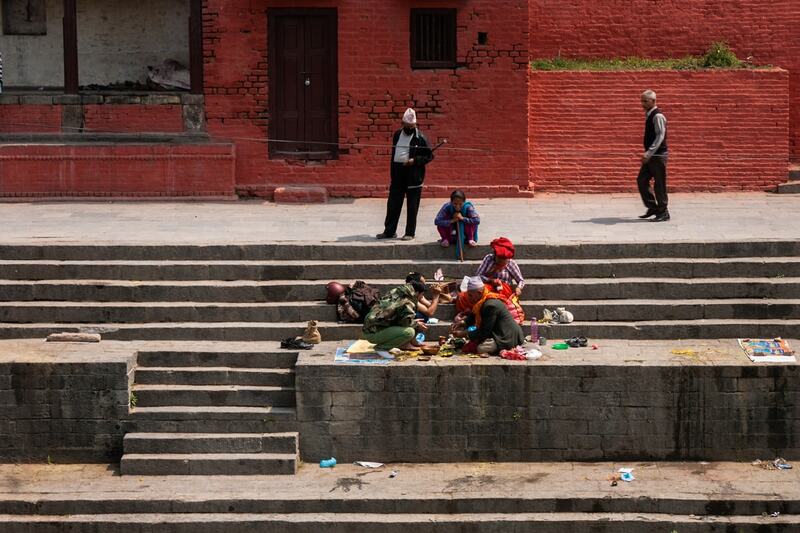 Nepalese family seat on the bank of the Bagmati River at Pashupatinath Temple in Kathmandu, Nepal. Three young Nepali men drag wood for cremations on the Bagmati River at Pashupatinath Temple in Kathmandu, Nepal. Smashan Hindu cremation ground on the banks of the Bagmati River at Pashupatinath Temple. Kathmandu, Nepal. Smashan Hindu cremation ground on the Bagmati River at Pashupatinath Temple. Kathmandu, Nepal. Bagmati River. Pashupatinath Temple. Kathmandu, Nepal. A Nepalese couple watches cremations on the Bagmati River at Pashupatinath Temple. Kathmandu, Nepal. For more photos about Nepal visit the page Nepal on this site. You may also want to check my Travel page.